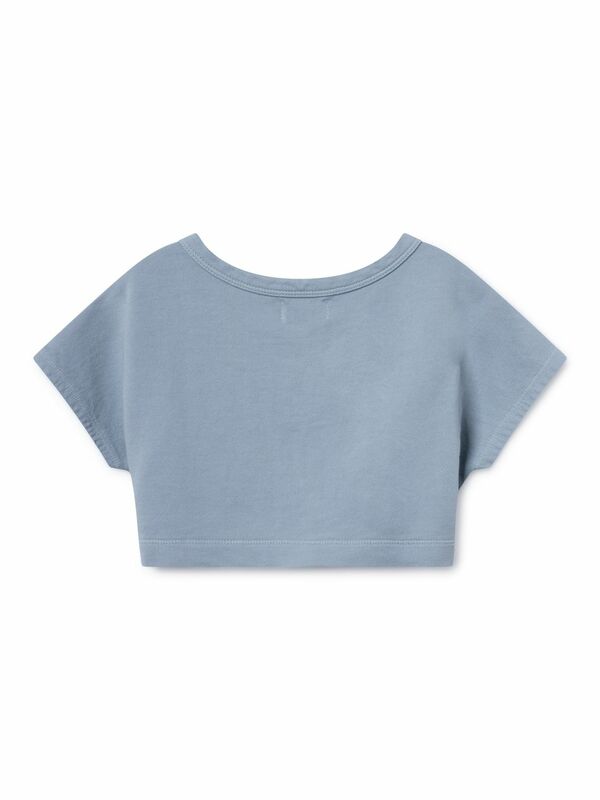 Light blue loose, cropped short sleeve sweatshirt. It features our Daisy character print in blue on the front. Made locally in Spain.